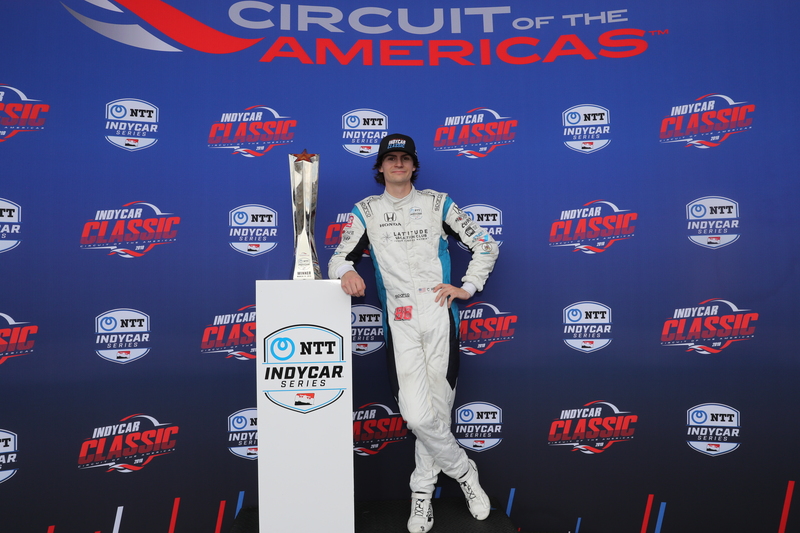 Harding Steinbrenner Racing was victorious in the inaugural INDYCAR Classic, the second race in the 2019 NTT INDYCAR Series. Eighteen-year-old Colton Herta, who turns 19 on March 30, became the youngest driver ever to win an INDYCAR race. Graham Rahal was 19 when he won eleven years ago. Herta started in fourth position but ran in third for the majority of the 60-lap race. The #88 Latitude Vacation Club car had finished its final scheduled pit stop on lap 44 immediately before the first and only caution of the race. Because the leaders still had to make their final pit stops, Herta shuffled to first position when the green flag waved on lap 50. The rookie showcased the skills of a veteran by pulling away from former INDYCAR Champion Josef Newgarden then staying in front with a 2.7182 second gap when the checkered flag waved. While the team ran in second place during Friday morning’s practice, a mechanical issue caused them to miss the second practice of the day. On Saturday, after Friday’s misfortunes, the #88 and Colton Herta surpassed expectations by making the Firestone Fast Six and qualifying on the second row in fourth position. The team looks to continue the momentum from their win at the Circuit of the Americas at Barber Motorsports Park in the Honda Indy Grand Prix on April 7.